he himself, he intensified his efforts. Finally, a policeman arrived on the scene and as soon as he saw the officer, he used the sharp edge of the broken bottle to cut his throat. 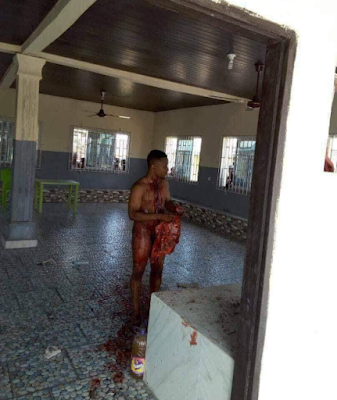 The photos shared on social networks show the young man naked and covered in blood. In a photo, he is seen standing, not caring about the amount of blood he was losing. The reason for their action remains a mystery, but there are many theories. 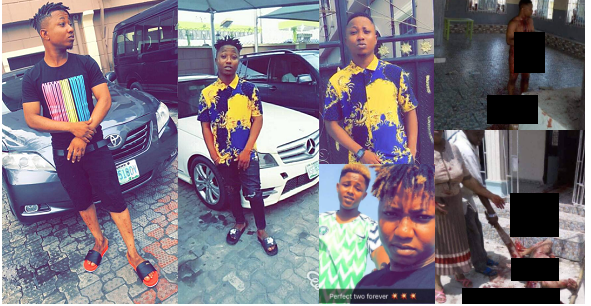 Some say that it was probably a Yahoo guy who suffered a spiritual problem caused by the rituals performed by the success of his Yahoo scam. Others say that he was probably homosexual and suicidal. Others have said that his partner must be arrested and interrogated. 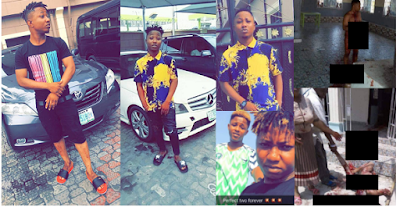 The residents of Oteri, Ughelli, Delta State were, yesterday, in mourning, after a young dancer gospel musician stabbed himself repeatedly before cutting his throat. . According to reports, the deceased, identified as Mukoro Ovie, did not allow anyone to approach him. The more people tried to approach, the more he stabbed himself. The police were later called to the scene but that stopped him. 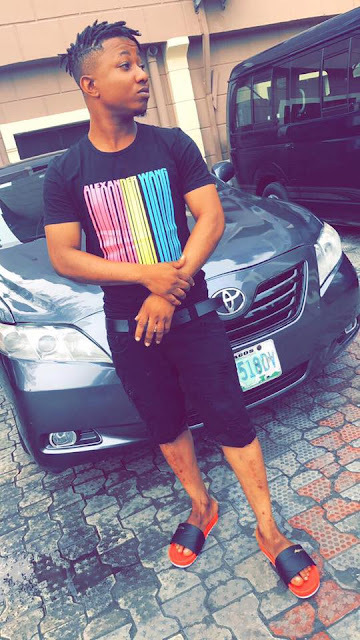 Ovie finally cut her throat while the police tried to subdue him. Nobody knows what triggered his action.